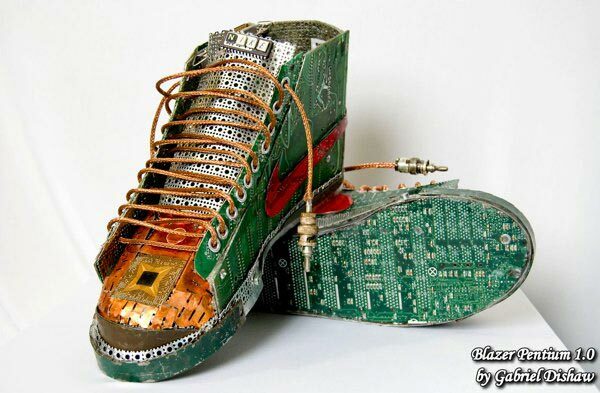 If you loved your PCs and your kicks, you’re sure to love these. 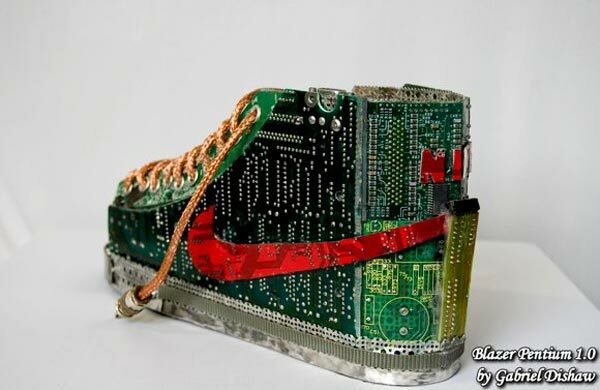 ‘Junk artist’ Gabriel Dishaw has re-imagined the Nike Blazer – complete with box – using scrapped circuit boards, copper wire and other technology refuse. Titled Nike Blazer Pentium 1.0, this is the first part of a series of classic sneakers — and we must say, this one looks pretty good. 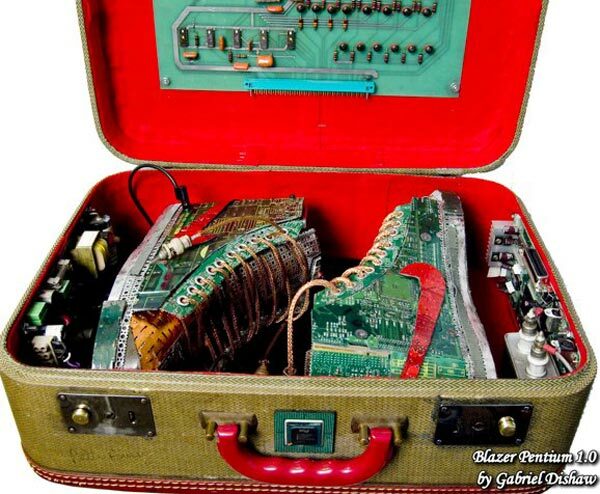 As you can see, there is some serious attention to detail and shoes lock down inside of box for easy portability. Go to Gabriel Dishaw official site to inquire about purchasing some art for yourself, but not before getting a closer look or two after the break.